Ford sales in its 20 traditional European markets were up 5,900 units year-over-year with 74,800 vehicles delivered in August, setting the highest sales mark for the month since 2007. The strong August figures pushed Ford’s sales through the first eighths of the year over 898,000 vehicles, up around 59,600 vehicles year-to-date. Ford’s market share fell 0.3 percentage points to 7.6%, but its market share through August is down only slightly at 7.9%. Sales in the expanded 50 European markets were up 2,000 units with 88,600 vehicles delivered in August, and are up 55,400 units to date with a total of 1,013,200 vehicles delivered. Ford’s market share in the Euro 50 was also down 0.3 percentage points at 7.3%, but its year-to-date market share is up 0.1 percentage points at 7.7%. “We’re pleased with our performance in August, especially as it is historically a quieter month for the industry as customers wait for the registration plate change in September in the UK when a very significant percentage of annual sales goes through our dealerships,” said Roelant de Waard, vice president, Marketing, Sales and Service, Ford of Europe. Ford was once again the top commercial vehicle brand in Europe with a 15.3% year-over-year increase in August. Sales are up 17.6% year-to-date. Ford Performance cars—including the Mustang and Focus RS—were up 51% in August and are up 98% year-to-date thanks to the popularity of the two aforementioned models. 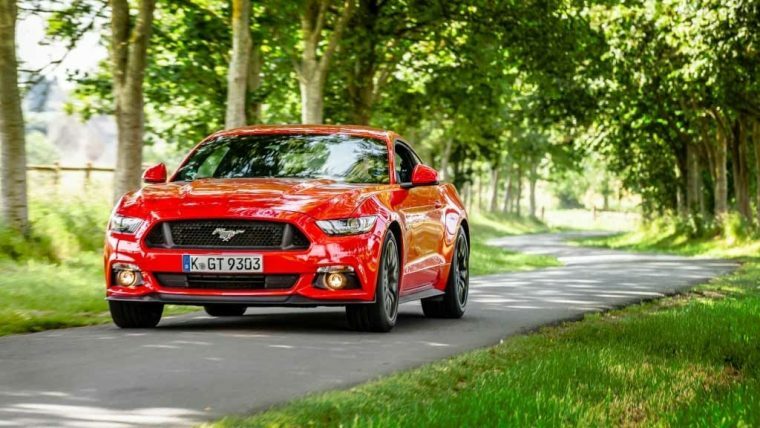 The Mustang made waves in August by once again registering more sales in Germany than any other sports car. Ford has delivered a total of 122,700 SUVs in the Euro 20 during the first eight months. Sales in August were driven by a strong start for the Ford Edge, Kuga sales reaching 7,800 units, and EcoSport sales reaching 3,200 units.